Today is Tio’s birthday. He is so crazy. I saw him Sunday at a cookout his sister held for his birthday. It was pretty cool because I got to see some of my homies, Shad and Tristan. We played football and I showed them what a 34 lb freight train feels like…check it out…. And no one has a birthday without getting birthday spankings. I’m not sure how old Tio is, but mommy said he was real old so I made sure to give him a lot of spankings. The video is a little dark, but you should be able to make it out. Today is Tio’s birthday. He is so loco! HAPPY BIRTHDAY TIO! This is Tio when he helped building my playset outside. We still need to put up my bull you bought me, Tio. 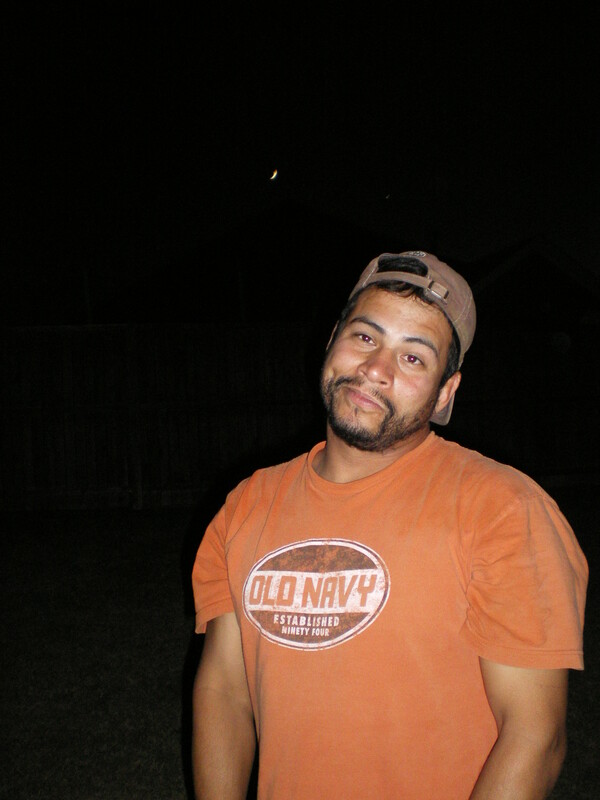 I am so proud of Tio…..
Me and the fam went to Tio’s country house last weekend and had a blast. Kim and her boys Shad and Tristen were there, too. The video is of us playing. We also jumped on the trampoline, fished, and they rode ATVs while I watched. I didn’t want to ride them this time, but I will next time. It was a pretty chill time and good to get away from everything – you know all the stress of learning at school, making sure I potty when I need to, and of course doing lots of funny and charming things to keep my mommy and daddy laughing. I had a good weekend. Saturday, I went over to my cousin Katelyn’s place because she was having her Sweet 16 birthday party. It was a luau party at the pool with a movie playing in the background – pretty cool. I hope that many girls come to my 16th party – McKinney is where I throw my mack down. Anyway, I got to see some family and stay up late. My folks thought I would fall asleep on the way home or sleep in late Sunday – wrong on both counts. I will get some pics posted when my Nanny sends them to me. Sunday, my homie Jandro came over. He also brought his parents and little sister who is pretty cute – how you doin’?! They brought a cake for us to celebrate my birthday, Jandro’s, and Alyssa (little sister) – all our birthdays are in August. Tio and Kim also came over. Tio is loco and he is proud of it. We all had a good time. I was pooped after everyone left. All worth it though. Good times. Oh, and the potty thing is going great. No accidents for me this weekend. I am not sleeping in big boy underwear yet, but I will be next weekend. Keep you posted on that one.